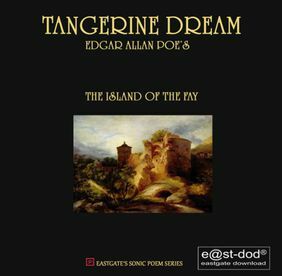 The Island Of The Fay, based on the short story by Edgar Allan Poe, is the first release of the new Eastgate&apos;s Sonic Poems Series. The album is subtitled "A Nonverbal Musical Translation" on the back insert, hence the album features completely instrumental music without any vocals as some fans expected (or feared?) when first information about this project came out. For the first time since 2008 Thorsten Quaeschning has contributed some compositions to a TD album again; three of the eight tracks are credited to him, the other five to Edgar Froese. The album is performed by the current TD live line-up (consisting of Edgar Froese, Thorsten Quaeschning, Linda Spa, Iris Camaa and Bernhard Beibl) with new member Hoshiko Yamane, who sets some highlights with her electric violin. The CD comes with an 8-page booklet, featuring the full-length short story on two of the pages (in very tiny typeface), a half-page biography of E.A. Poe as well as credits and the track listing. The Eastgate Music Shop about the CD release "This work is the beginning of a new series by Tangerine Dream: Eeatgate's Sonic Poem Series. Edgar Allan Poe definitely is worth a start, a novelist who long enough has been labelled as dark, mysterious and gloomy only -- Poe was more than that -- a true visionary. 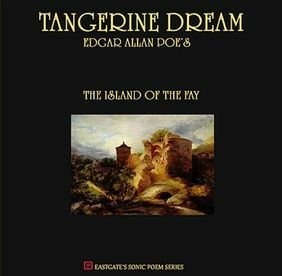 Edgar Allan Poe's The Island Of The Fay has been set to music by Edgar and Thorsten in a very exciting, dynamic and partly experimental way -- a new violinist sets her maverick accents with electric sounds. It's the art of breathing life into a tale through strong music. Enjoy this true masterpiece of finest Tangerine Dream music -- we don't promise too much.... PS: You will find the whole but short tale of The Island Of The Fay within the booklet! Enjoy reading but above all: enjoy listening!!"